Like the wines of Germany, the wines of Austria are frequently misunderstood by the general wine drinking populace. The confusion is further compounded by the fact that in 1985 the industry was plunged into turmoil by a national scandal that overnight virtually eliminated Austria’s export wine market. The scandal involved wine brokers adding di-ethylene glycol (antifreeze) to wines to improve body and sweetness. The “silver lining” to this disaster was the establishment of new, stricter rules governing the production, bottling and exportation of Austrian wines. Archaeological evidence suggests that grape growing was present in Traisental about 4000 years ago. Evidence of more organized grape cultivation for wine production dates to around 700BC, not unlike most of Europe. In fact, bronze wine flagons of the Celtic La Tène culture dating to the 5th century BC have been found at Dürrnberg in Salzburg. Viticulture thrived under the Romans, once Probus (Roman Emperor 276–282) had overturned the ban on growing grapes north of the Alps. Both Grüner Veltliner and Welschriesling appear to have been grown around the Danube since Roman times. The fall of the Roman Empire hurt viticulture, but the influence of Christianity in Europe post fall saw a reemergence of strengthening viticultural activity. Wine boomed during the early 16th Century, but was sporadically interrupted during the economic turmoil and warfare of the 17th and 18th Centuries. The 19th Century saw the onset of numerous biological factors, culminating in the near total destruction of most European vineyards at the hands of the phylloxera root louse. At first deemed a catastrophe, the infestation actually became helpful by allowing wine makers to replace vineyards of lesser-quality grapes with higher-quality, more desirable varietals. Following World War I, Austria was the third largest producer of wine in the world. Most of the production was going to Germany as bulk wine for blending purposes. The 20th Century saw the industrialization of Austrian wine, as more focus was placed on producing bulk blending wines for Eastern European consumption. This focus on quantity over quality led to the eventual downfall of the industry, when in 1985 the “antifreeze” scandal broke. The scandal effectively collapsed the export markets for all Austrian wines and forced a complete overhaul of industry standards. 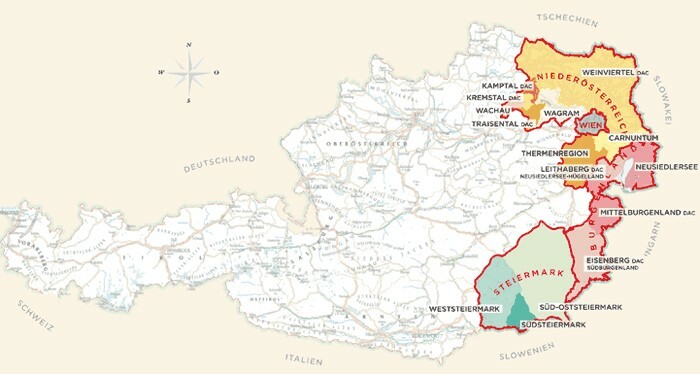 The Austrian Wine Marketing Board was created in 1986 as a response to the scandal, and Austria’s membership of the European Union has prompted further revisions of her wine laws, notably the new DAC system of geographical appellations launched in 2002. Ausbruch: Sweet dessert wine made from grapes affected by noble rot. Smaragd (named after an ’emerald’ lizard that lives in the vineyards) – Some of the best dry whites in Austria. The Salzl – My interest is always piqued when I see interesting red wines from Austria. This is especially the case when the varieties are out of the ordinary, like this Zweigelt. Zweigelt is the eponymous creation of one Fritz Zweigelt, who, in 1922 developed the grape at the Federal Institute for Viticulture in Klosterneuburg, Austria. Zweigelt is a red grape that is a cross of St. Laurent and Blaufränkisch. It is the most widely-grown red grape variety in Austria, as well as having some presence in Canada’s vineyards on the Niagara Peninsula. Like most Austrian red grapes, the wines they yield are fruity, lightly tannic with nice crisp acidity. Salzl is an older Austrian producer (circa 1840) located in the heart of Burgenland on a corner of Lake Neusiedl. The picturesque surroundings provide an ideal climate for grape growing, with red grapes especially benefitting from the moderating lakeside effects. The vineyards are located on an interesting mix of clay, slate and limestone soil, which imparts a strong mineral quality to the wines. Very traditional, but with a fresh, lively character, the Zweigelt is a real pleasant find. At $14.99/per bottle before the discount, the wine is a solid value. And how many of you can say you’ve had Zweigelt before? Red berry nose with lilac and wet stone hints – very pretty. Medium-bodied with moderate acidity and moderate, well-integrated tannin – good balance. Sour cherry palate with red currant, dried herb and dried raspberry notes. Moderate length – crisp and clean with a bright finish. Drinking well now – not for aging. Bottled under Stelvin, so the freshness should be nicely preserved for a few years. Good value. Among the many traditions brought forth to America by European colonists several hundred years ago, the “communal bowl” was an important component to creating a better life for these stalwart souls. To ease the rigors of travel for judges and political officials traveling from courthouse to courthouse, or town meeting to town meeting, laws were passed in most of the original American colonies calling for the establishment of common victualing stations along the major roads throughout the country. 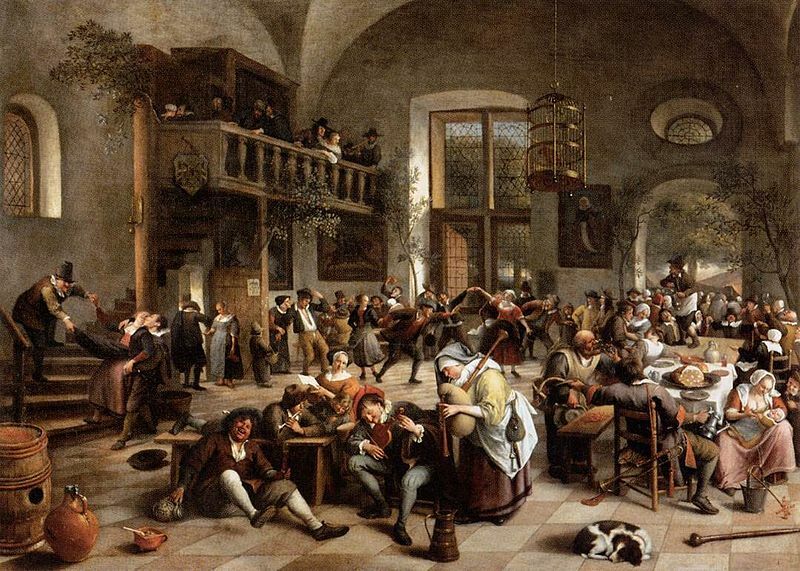 In fact, in Massachusetts, as early as the 1630’s, laws requiring each town to establish a tavern for the purposes of dispensing food, libation and affording reputable lodging were on the books. Hence the reason why there are so many colonial inns and taverns along what were the major routes across the state (i.e. Routes 1, 2, 9, 16, 20, etc.). A fixture in these roadside establishments was the communal bowl, which was always filled with a heady mixture, ready to slake the thirst of the many weary travelers crossing those well-worn thresholds. As I noted previously, punch was a long-standing European tradition. It stands to reason that the early colonists would want to recreate this tradition here in their new homeland. Punch provides many benefits: it’s a bacteriologically safe beverage; it’s warming after a cold, damp horse ride; it inspires camaraderie and togetherness; and it eases the nerves and promotes good sleep. Or so said colonial tavern owners. 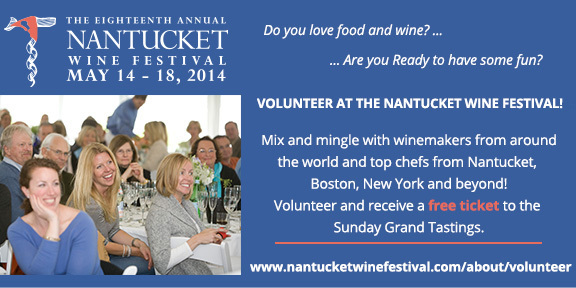 Rum punch was ubiquitous in Massachusetts and each tavern had their own recipe, some better than others. 1 glass of peach cordial. Place a cake of ice in a large bowl, mix the above ingredients well and pour into the bowl. Ladle over ice and enjoy. I of course dutifully recreated the above punch, albeit in a single-serving quantity and found the concoction fairly unbalanced – the tartness from the lemon juice was predominant and overall the punch tasted weak and too diluted. However, it was a starting point. Mix the above ingredients and ladle over ice cubes in lowball glasses. The recipe makes approximately (30) 6 oz. servings. While I haven’t started placing a communal punch bowl in the entryway of our home for weary travelers to stop and refresh themselves before pressing on, I will find specific moments of celebration where the above recipe will be both festive and refreshing for our guests. The first wine is from La Mancha in Spain and is a blend of Tempranillo (85%) and Syrah (15%). The 2012 Mundo de Yuntero is a terrific little wine from a medium-sized cooperative in La Mancha. The cooperative was originally founded in 1954 by 102 growers who needed a better way to market and sell their grapes. The vineyards of the cooperative are situated on calcareous soils along the banks of the Guiadana River, which creates a moderate mesoclimate, allowing for optimal growing conditions. Approximately 3,000 acres are under vine, managed today by over 700 members of the cooperative. A large portion of the vines are grown organically. The winery uses state-of-the-art technology, called the Ganymede system to produce their wines. For reds, the technology allows the grapes to be macerated more fully over a shorter period of time. The system also performs the maceration without pumps, thereby decreasing the exposure to oxygen, as well as decreasing the production of unwanted carbon dioxide. Extended maceration promotes better color extraction and preserves aromas. The ability to perform the maceration over a shorter duration limits the amount of tannin extracted. The result is a wine of great color, with ample fruit across the palate and without any astringency from increased tannin. The whole maceration process takes 5 to 6 days, compared to 12 to 14 days when using more traditional methods. Once finished, the young wines undergo malolactic fermentation and then are aged in a mix of oak barrels (French and American) of varying maturity for a short period of time. Ripe, fruity nose with black cherry, cedar and peppery hints. Medium-bodied with moderate acidity and moderate, but well-integrated tannin – good balance. Youthful with a fresh, clean palate and blackberry, bramble and dried herbal notes. Gulpable. Moderate length with a smooth finish. Hints of allspice and black pepper show nicely on the aftertaste. Drinking well – and should improve for another 2 to 3 years in bottle. Great value. The second wine is from the Douro in Portugal and is a blend of four grapes: Tinta Barroca, Tinta Roriz, Touriga Franca and Touriga Nacional. 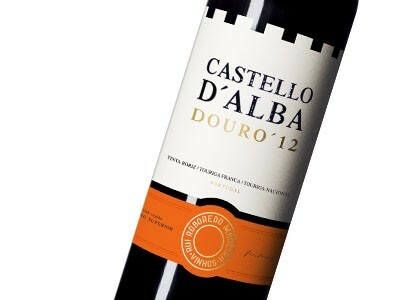 The 2012 Castello d’Alba is a lovely young wine produced by one of Portugal’s hottest winemakers, Rui Roboredo Madeira. The label was established in 2000, with production in a facility in São João da Pesqueira. The grapes are harvested in the Upper Douro from vineyards planted on prehistoric schist soils. The climate of the Upper Douro is ideal for growing red grapes with dry, moderate weather and excellent diurnal patterns. The wine is aged in stainless steel for 8 months before bottling, emphasizing the expression of the fruit and the soil. Philosophically, Madeira is a purist, wanting to demonstrate the beauty and potential of the fruit from the Upper Douro. Hence the lack of oak in his young wines. Ripe, juicy nose with fresh cherry, tar and floral hints. Medium-bodied with moderate acidity and soft, supple tannin – good balance. Dark fruit core with blackberry, cherry and briar notes. Moderate length – smooth and easy drinking with a clean finish. Drinking well now – not for aging. Great value.